Perhaps you are not planning on taking a sheep or cow for a ride, but there are a number of options to include your favorite pet on your ride. Depending on the size of your pet the options will be different. If your animal is large you may need to learn how to balance in case the animal moves around. I would really like to know how this man loaded his pet onto his gas tank. Which Large Animal will you take with you? – Dog – Lama or Camel? I have a feeling not many motorcyclists would be interested in riding with a cow, camel or lama. But if you are blessed with puppies that weigh more than your children, you might consider a Motorcycle Sidecar Combination or a Forward Trike-ute. Some of these passengers were riding a bit unsafe. It was good to see some wearing goggles and harnesses. We have established that a motorcycle/sidecar combination or a trike-ute is the safest method to transport a large dog. Let’s take a look at small pet options. A Motorcycle Pet Luggage Bag is well worth a look. No. Sorry, not that type of Pet Luggage Bag. I was thinking something secured to the motorbike. Thank you Motard Squid for sharing this video. However, I do wish you would stop at stop signs and hopefully you will invest in some Doggles to protect Sophie’s eyes. Let’s take a closer look at the bag. your favorite four-legged family member on the road trip of a lifetime, with the safest and most versatile motorcycle pet carrier available. Complete with updated styling, amenities, plus additional ventilation and internal space for your best friend. The Pet Palace will also make the ultimate home away from home for your pet. An internal frame with rigid structural support offers peace of mind knowing your pet is protected. Well I am impressed. But as Motard Squid said in his video, it would be nice to watch your dog or cat enjoy the ride. 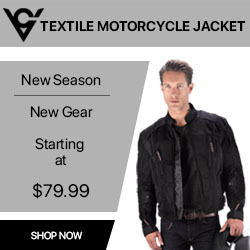 To achieve this you will need a Motorcycle Tank Bag. And the ride would not be complete without eye protection. To protect pooches eyes you will need some pet goggles, otherwise known as Doggles. For eye protection or fashion, your pet deserves the very best! Doggles Originalz™ offer superior 100% UV protection, shatterproof and anti-fog lenses. Doggles are ergonomic, have rubber padding, and a smoked and shatterproof polycarbonate lens with the unique ability to filter up to 100% of harmful UV rays. They have two adjustable elastic straps for a snug fit. Originalz™ style is the style that started it all. This style has a full frame and fixed lenses (not interchangeable or replaceable). The lens cup is more suited to dogs with less protruding eyes and eyes that are closer together. Whether your best friend accompanies you on a motorcycle ride, hangs their head out of the truck, loves to sunbathe, or is sensitive to light, Doggles Originalz™ will be sure to keep their peepers safe! More shallow lens cup, best for dogs with recessed eyes. Polycarbonate (shatterproof), 100% UV protection, anti-fog lenses. Lens is the measurement from one corner of the frame to the other (corner of eye to corner of eye). Now there are no excuses and no need to hire a Puppy Sitter while you are touring with your loved ones. Be sure to take ALL your loved ones. Safe riding. We have shown how you can include your pets in your ride. 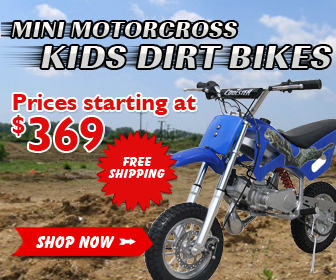 Consider protecting you ride from corrosion and rust, Click Here to see more. I must say we have really enjoyed your article. We appreciate the laughs and education.Thank goodness I do not own a goat or she would be riding with me instead of my dog. Ha . You are so correct regarding safety for all involved .Thanks for all of this info I had no idea of so many options. Hi Vesna, I am very glad you found the article entertaining. Animals are so cute and keep us laughing. I couldn’t imagine a world without them. I did cover options for larger pets. A sidecar/motorcycle combination is perhaps the best and most affordable option available. You may see examples of sidecar styles by clicking on this link. Safety is just as important for passengers (including animals) as it is for the rider. Thank you, Dave. You’re right – sidecar/motorcycle combination is probably the best solution for bigger pats. 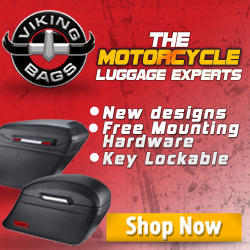 I find these small pat motorcycle bags very practical and what is more important – safe! But…. what about bigger pats? The video is hilarious. We have a small dog (bichon/shih tzu mix). He likes to go for rides in the car. My husband has a motorcycle, and would love the Kuryakyn Grand Pet Palace Motorcycle Bag Luggage. I will surely point him to your website. Thanks for sharing with us pet owners.